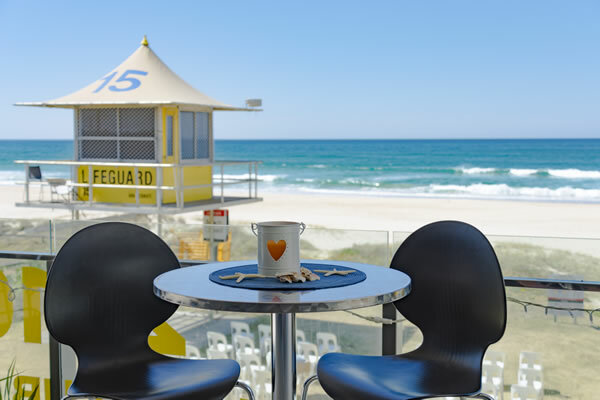 The Pacific Beach Function Centre is located in Palm Beach on the world famous Gold Coast of Queensland, Australia. 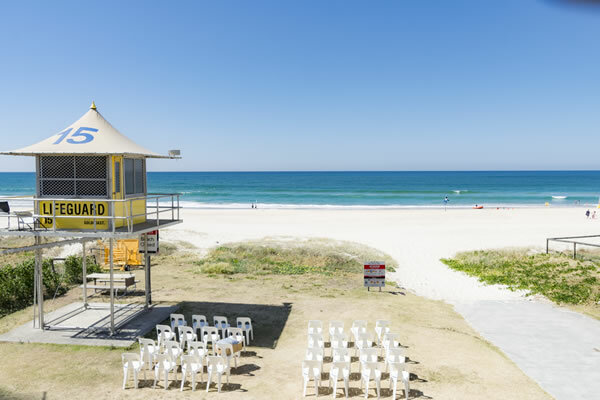 The venue is situated on the elevated first floor of the Pacific Beach Surf Life Saving Club and boasts a covered balcony that affords uninterrupted views of the pristine white sands and majestic Pacific Ocean that the Gold Coast is renowned for. 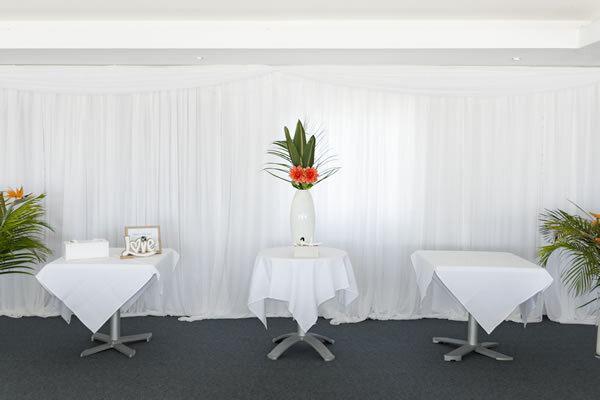 The beautiful tranquillity lends itself to a perfect, relaxing environment for your wedding or function. Find out more below. 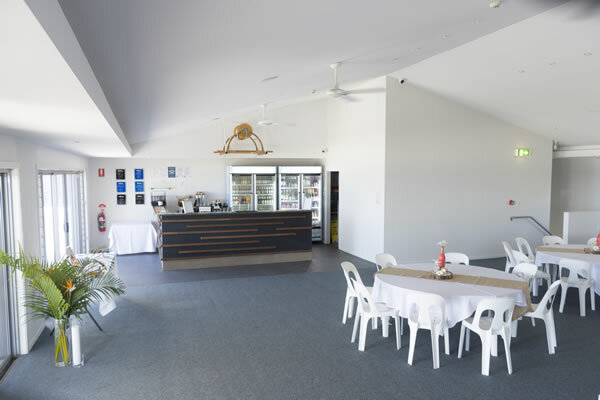 Our Kitchen is available for you to self–cater or use one of the many catering companies on the Gold Coast to suit your personal requirements and budget. Our function room holds 110 pax sitting or 160 pax cocktail style event. The hire price includes bar staff to serve 80 guests. 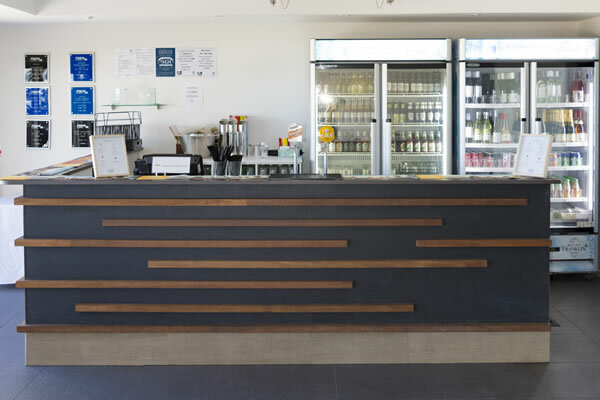 Additional bar staff is required for larger events at an additional cost to the hirer. The bar closes at 11pm. Our Liquor licence is limited to the function room and balcony. Alcohol is not permitted on the lawn or any downstairs area. Patrons and alcohol are not permitted on the balcony past 10pm. The hire price includes one security guard for events where the Bar is open. Events held in the evening or for more than 80pax may require additional security staff at the discretion of management at the time of booking and will be charged at an additional cost to the Hirer. Cleaning costs are included in the hire fee. Should additional cleaning be required post function the Hirer will charged accordingly if exceeds bond deposit of $500. Audio visual (AV) equipment is available for use at your wedding or function. We have a VGA Laptop connection for ceiling mounted Data Projector plus a Microphone and PA system. This is subject to availability. 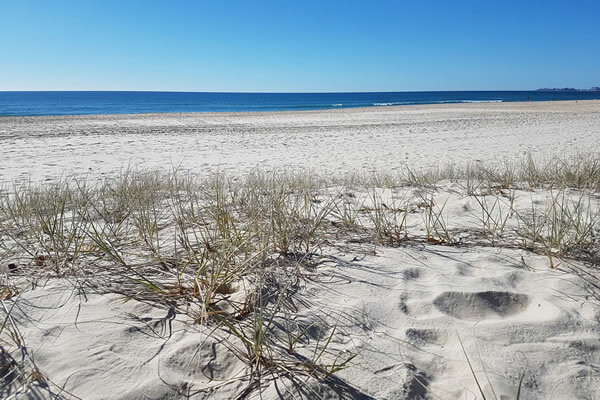 Restrictions apply on weekends and public holidays September to April during the Surf Lifesaving Patrolling season and patrol hours. Charges apply for use of the beachfront lawn area. 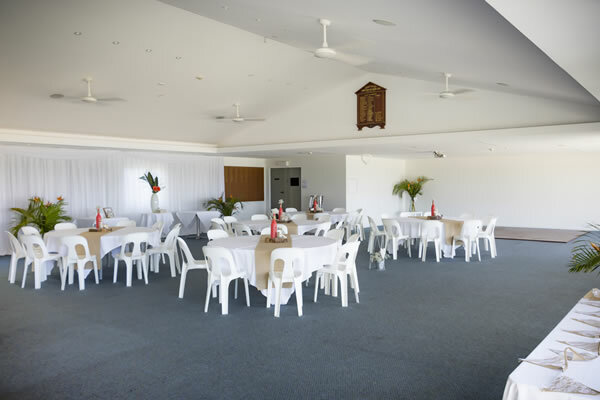 $250 payable when the use is in addition to the Function Room hire; $700 payable for exclusive use of the beachfront lawn. 1. Balcony doors will be closed at 10pm under the requirements of our Liquor Licence. 2. Music can be sourced from a DJ or electronically (Ipod /computer) or acoustic . Live bands are not permitted at the Pacific Beach Function Centre. 3. Music and noise is monitored hourly. Patrons / DJ / Hirer must adhere to instructions from management in relation to noise control. Alcohol is NOT permitted on the beach front lawn or any downstairs areas at any time. Between 10:00am and 10:00pm, whenever amplified entertainment is in progress access to the balcony is restricted to the centre sliding door only, other sliding doors must remain closed. After 10:00pm, all sliding doors to the balcony must remain closed. 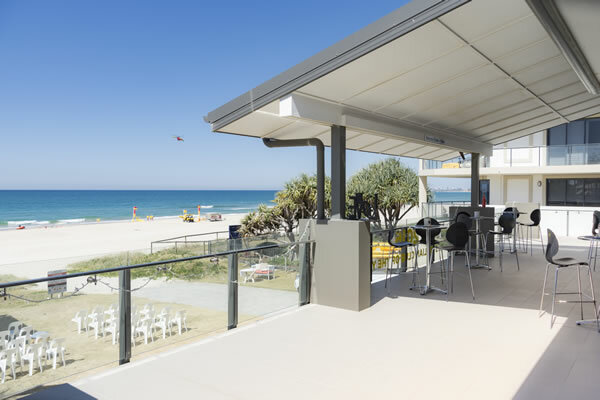 For Gold Coast Beach Front Weddings, Celebrations & Corporate Events. Our large Function Room is licenced and boasts a spacious balcony for your guests to enjoy the view of the Pacific Ocean and pristine white Beach.